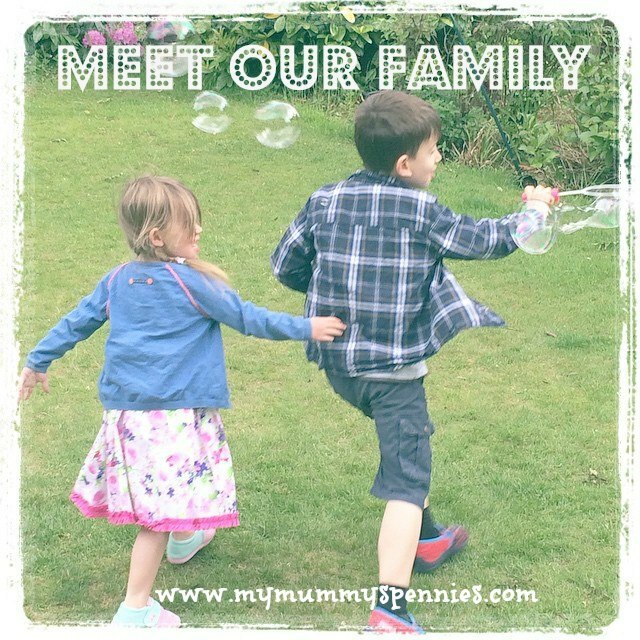 My Mummy's Pennies: Join the Loom Band Craze with a FREE kit! 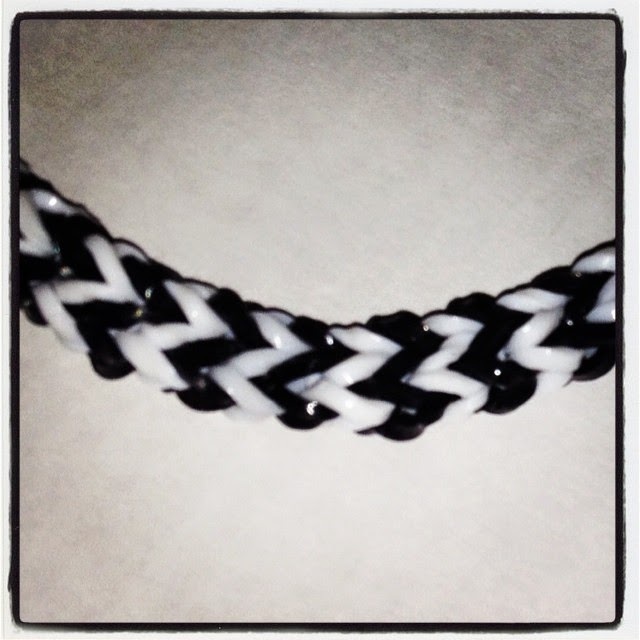 Join the Loom Band Craze with a FREE kit! 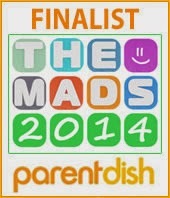 Loom Bands are small plastic bands in bright colours that you are soon going to start finding everywhere... 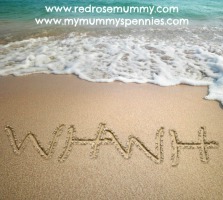 Yes, everywhere, so far I've discovered them in my cereal, in the bath and inside my favourite book! Apart from popping up all over your home they also have a purpose, which is to be weaved into colourful bracelets. This can be done either on a plastic loom or on your fingers, thanks to youtube tutorials, using a fork to weave them has become quite popular too! Designs range from really simple bracelets to much more complex and extravagant, I've even seen Disney characters made out of them! The craze has even taken the celebrity world by storm with the likes of David Beckham and even Kate Middleton the Duchess of Cambridge spotted wearing the colourful Loom Bracelets. 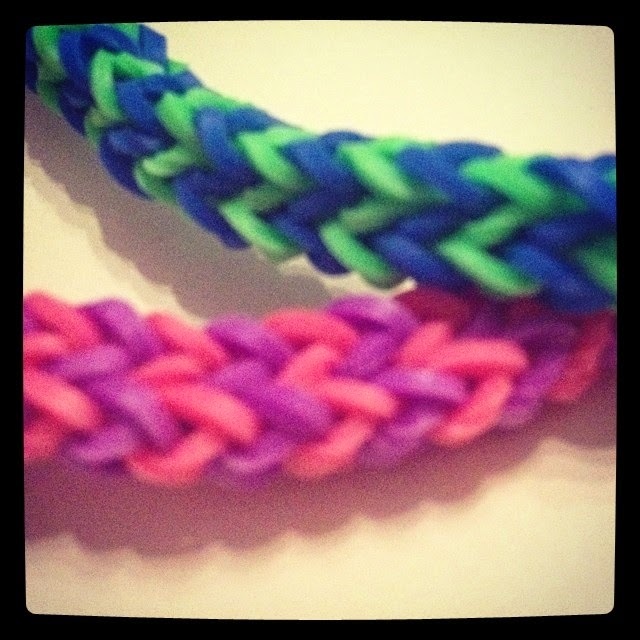 Don't be fooled by the bright colours and idea of bracelets, loom bands are a great activity for both girls and boys! My six year old son enjoys watching youtube tutorials and searching Pinterest then being creative with the bands, I think it's a great activity to help improve fine motor skills and encourage independence, especially for children like Ben who is Dyspraxic and has Hypermobility. So Do You Want to get Some Free Loom Bands? One of the great things about this Loom Bands is they are really cheap activity, you can realistically get started with just one pack of around 600 bands and 10 s clips that you can by in many shops for just £1! If you fancy getting really serious though you can get a complete kit including a storage box, a plastic loom board, 2000 loom bands and 25 s clips as well as some instructions to get you started for just £9.99! What is even better is if you join TopCashBack today you can get this kit Free of charge! 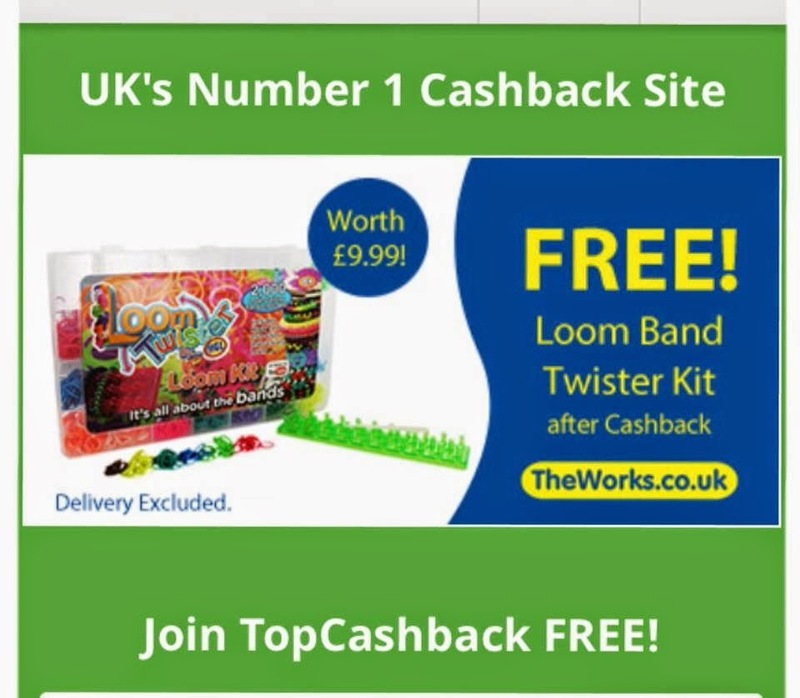 Simply sign up to TopCashback here to claim your Free Loom Twister Kit from The Works. 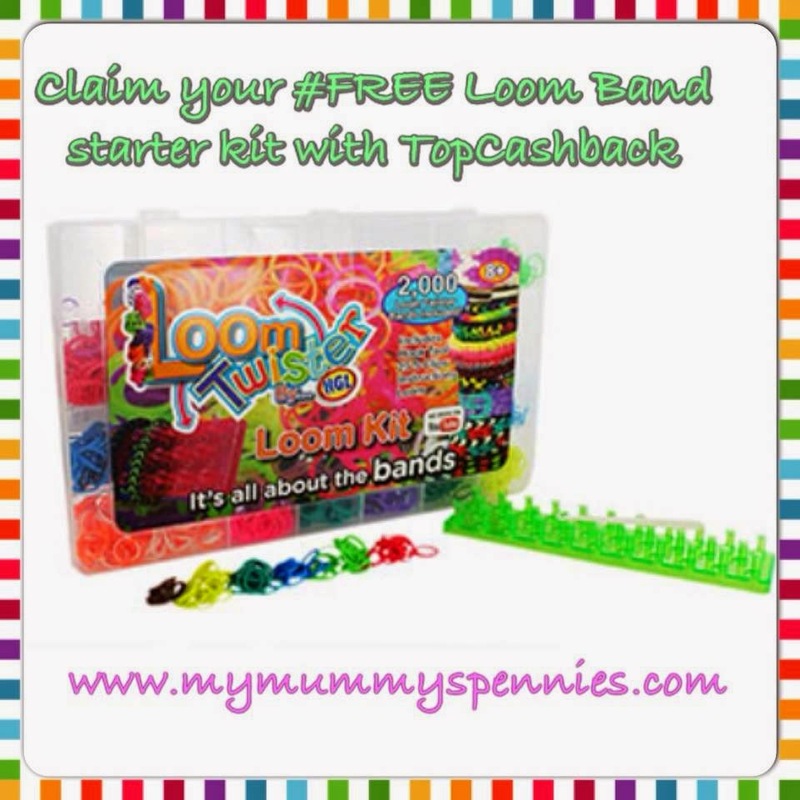 Once you've signed up, click through to The Works (one of Topcashback's 4000 retailers) and buy the Loom Band Kit as normal, then wait for your £9.99 cashback to be credited to your account in 7 days! This offer is open to new TopCashback members only. You must purchase the product through the link. After 7 days TopCashback will credit your TopCashback account with £9.99 effectively refunding you for your purchase. Offer runs from Tuesday 8th July at 10am until Tuesday 15th July 2014 at 23:59. I ordered this last night but I don't think it has worked as it has only given me £1.26 cash back. Good job I wanted it anyway as I nearly bought it in the shop the day before!